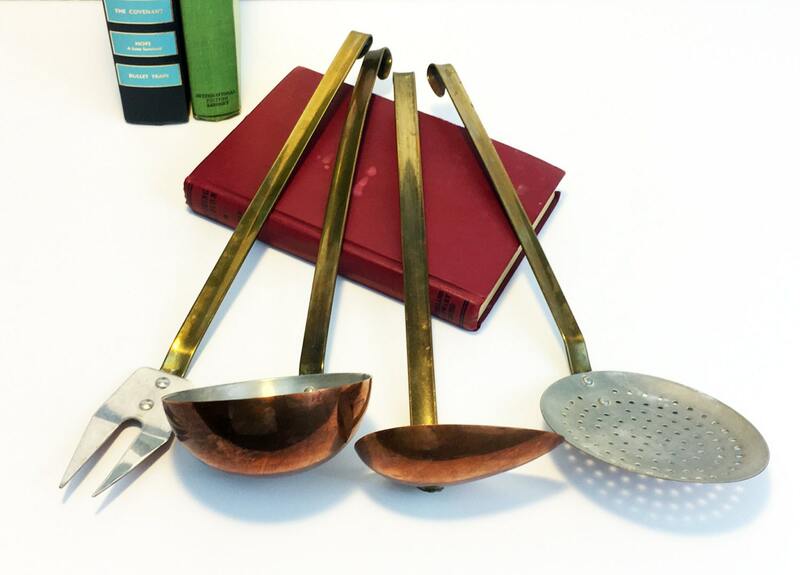 Description: Great 4 Piece Copper Utensils set for your kitchen. 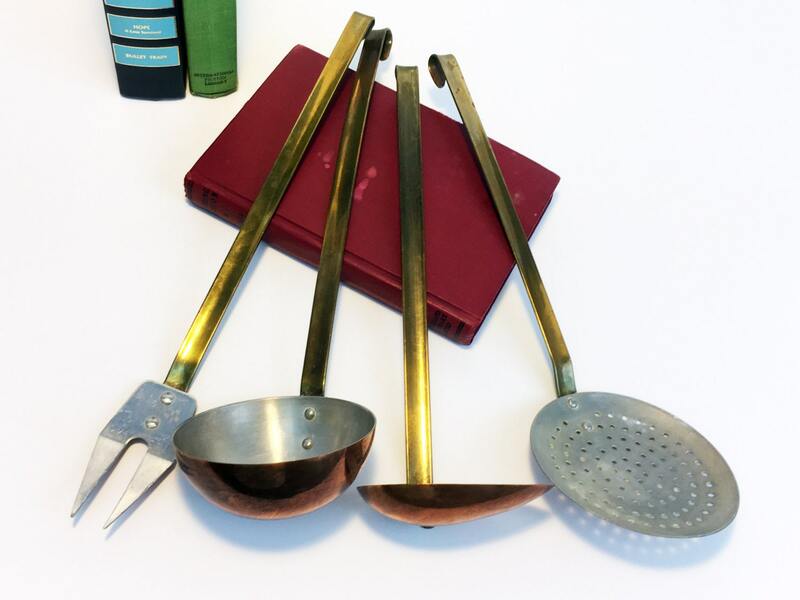 Include sladle and serving spoon, copper serving fork, and strainer all with brass handles and a curve at the end for hanging. 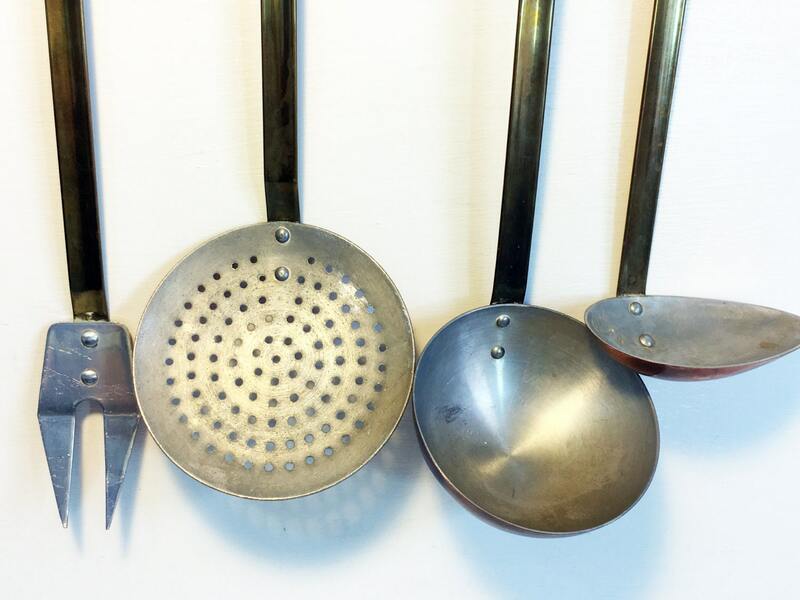 Good quality, french kitchenalia in good, used, vintage condition. 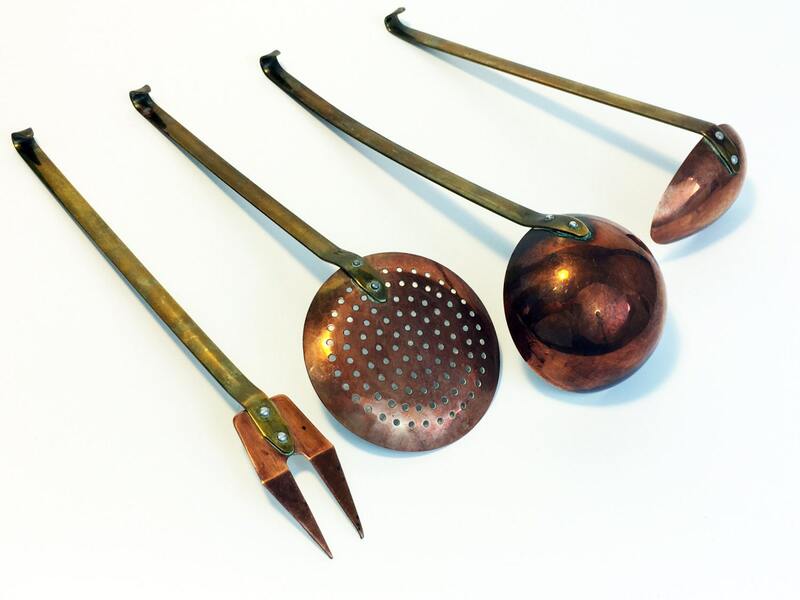 Made from copper with brass handles and copper rivets. Perfect french farmhouse piece of decor! Condition: Good vintage condition. 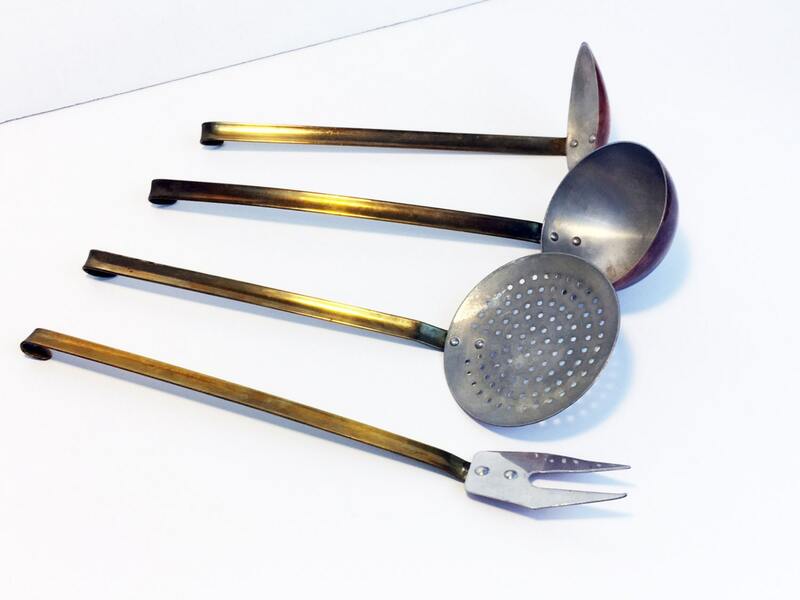 Some light wear and patina on the pieces (I didn't polish as some folks prefer patina but could be polished if so desired).